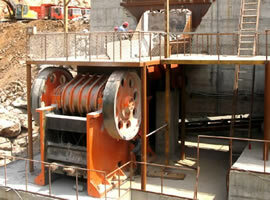 News & Events What Kinds of Equipment Does a Full-Set Granite Stone Processing Plant Include? In view of the rapid economic growth, many fields have a urgent demand for sand aggregates, and the boom to invest in establishing stone material factories and sand aggregate plants is increasingly rising. On the face of it, it is nothing less than the promotion of several aspects. 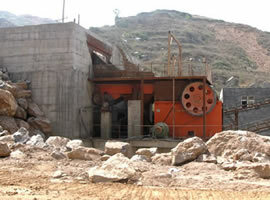 Henan Hongxing Mining Machinery Co., Ltd is a domestically renowned stone crusher manufacturing enterprise. It appeals to the investors from all walks of life that when choosing equipments for stone processing line must be sure to select the big brands and big manufacturers to cooperate. The full set of granite stone processing plant generally includes vibrating feeder, jaw crusher, impact crusher, vibration screen and so on. In general, people depend on the properties of the users' ores, purposes, field scale and so on to determine the most rational equipment types and models. Because different types of equipment are applicable to processing different raw materials. Therefore, in the face of a specific model selection, users should tell the actual situation of their raw materials to technicians and then put forward suggestions for model selection by the technicians. As one of the largest manufacturer of sand crusher, stone crusher, ore dressing equipment and other mining equipment, Hongxing Machinery has firmly mastered the core technologies and held a large proportion of market share. We believe that Hongxing Machinery will be the ultimate choice of the investors who invest in sand and gravel aggregate processing. We have been highly recognized by the market by virtue of our specialized technology and thorough service system. Our online customer service is available at any time and your visit is welcome by our company.